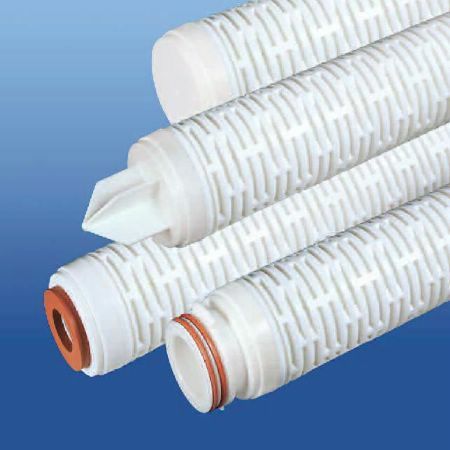 This pleated filter element is constructed of a double layer of Track-Etch polyester membrane for use in critical filtration applications. The filters are pre-flushed and integrity tested to ensure the optimal level of contamination removal. • 12.5 ft2 (1.2m2) of Track-Etch membrane per 10″ element. • Pore size, lot and serial number are stamped on each filter element for identification and traceability.